Dr. Sanjay Garg is an eminent researcher with extensive research experience in history of South Asia, with specialization on economic and monetary history, currency and coinage, architecture and archival studies. His research findings have been widely published in print and multimedia which include twenty-five books and sixty-one research papers. Dr. Garg served the National Archives of India for 23 years (1988-2011) as the Assistant Archivist, Archivist, Assistant Director of Archives and Deputy Director of Archives, before joining the SAARC Cultural Centre in Sri Lanka in March 2011 where he was incharge of the Research Division from 2011 to 2014. 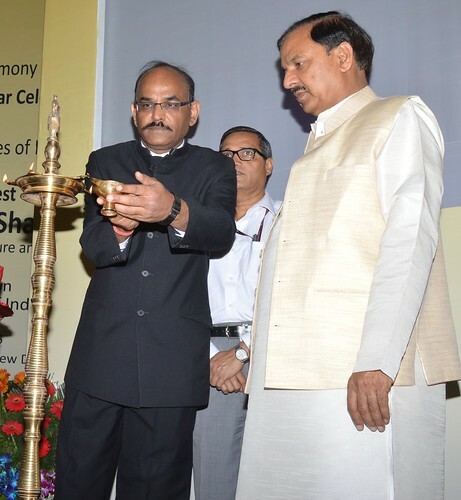 In December 2014, Dr Garg re-joined the National Archives of India, New Delhi and served till March 2018, in which period he pioneered the launch of an online search portal of the National Archives of India - Abhilekh-Patal - and year-long celebration to mark the 125th Anniversary of the National Archives of India (2015-16) amongst other responsibilities. Since March 2018 he is working as the Director of the Swami Vivekananda Cultural Centre at Nur-Sultan (Astana), Kazakhastan. In addition, he has also held many responsible assignments including: Expert Member of the High Level Steering Committee for Designing Currency Notes, constituted by the Reserve Bank of India (2011); Special Invitee of the 26th Meeting of Arab Gulf Archives and Documents Centres, Sana’a, Yemen (2010); Editor of The Indian Archives, annual research journal of the National Archives of India, New Delhi (2009-2010); Chairperson of the Iran Session, at the XIV International Numismatic Congress (INC), Glasgow, UK (2009); Member of the Advisory Committee on Archives of the Indian National Science Academy (INSA), New Delhi (2009); Member of the Committee on Collection Development, Preservation and Access, International Institute of Social History (IISH), Amsterdam (2008); Expert Member of the Library, Archives and Museum Committee of the Union Public Service Commission (UPSC), New Delhi (2005-2011); Member of the High Powered Committee on Electronic Records Management (HPCERM) constituted by the Government of India (2002-2009); and Editor (2001-to date) of Numismatic Digest, an annual research journal of the Indian Institute of Research in Numismatic Studies, Nasik. Dr. Garg has contributed towards teaching as a Visiting Faculty Member, an Examiner and Post-graduate Supervisor of School of Archival Studies, National Archives of India; Institute for Secretariat Management and Practice, and Bhogilal Leherchand Institute of Indology, all in New Delhi and Dinesh Mody Institute for Numismatics and Archaeology, Mumbai University, Mumbai. In 1998, Dr. Garg was awarded the Charles Wallace Fellowship at the University of Cambridge, Fitzwilliam Museum, U.K. for preparing a Catalogue of Indian Coins in the Fitzwilliam Museum. He also worked as a Resident Fellow at the Centro Incontri Umani (Socio-Cultural Centre), Ascona, Switzerland in 2009 on the project ‘Transcendent Tolerance: Nazir’s Message of Peace and Harmony to the Modern World.’ In 2010, Dr. Garg was awarded the Robinson Visiting Fellowship at the Ashmolean Museum of Art and Archaeology, University of Oxford, UK which he held together with the Kraay Visitorship at the Wolfson College, University of Oxford, UK.